Home Blog How Widespread is the Spanish Language? How Has Spanish Changed Around the World? Before you begin working your way to foreign language fluency, it helps to understand the culture behind the language you’re learning. After all, language exists to help a group of people express their ideas and beliefs. Spain is an old country with a rich history and culture. As you begin your Spanish language program, gaining a strong grasp on this history, the values, and the etiquette will help you rapidly achieve success. In particular, with so many nations that have Spanish as their official language, the language has changed over time, creating unique dialects of Spanish that offer cultural insight. While Spanish is one of the world’s most commonly spoken languages, not every Spanish speaker speaks the same type of Spanish. As with any language that has withstood the test of time, Spanish has evolved over the course of history into many various forms of the language. There are actually 10 dialects that comprise the language itself and, depending on the country you are in, you may hear any one of these dialects. Oftentimes, you may hear that there is a difference between European and Latin American Spanish, but these differences can be seen clearly when studying all of the dialects. “Murcia” is the dialect that is commonly spoken throughout the Region of Murcia, located in the southeast part of Spain. Distinct language groups are common in Spain, consisting of the Andorra’s official language Catalan, the Pyrenees language of Basque, the Portuguese language of Galicia, and the Extremadura community’s dialed of Extremadura. “Canarian” is the Spanish dialect of the Canary Islands. Closely resembling the dialect of Caribbean Spanish speakers, “Canarian” is known for its elided consonants, the pronunciation of “h,” as well as the aspirated “s.” The vocabulary of the “Canarian” dialect is influenced heavily by the Portuguese language. “Llanito” is a dialect formed from the combination of British English and Andalusian Spanish. This dialect originated on Gibraltar as it is a British territory. “Latin American Spanish” is the dialect found in mainland Mexico, Peru, Colombia, Central, South America, and Bolivia. “Rioplatenese Spanish” is spoken around the River Basin area that sits between Uruguay and Argentina. In this dialect, its speakers have an intonation similar to that of the Italian language, rather than Spanish. “Caribbean Spanish” is spoken in the Dominican Republic, Cuba, and Puerto Rico, as well as around the eastern coast of Central America and Mexico. This dialect is known to omit the final consonants in a word, as well as aspirating the “r” and having elided middle consonants. “Equatoguinean Spanish” is the official dialect of Spanish that is spoken in Africa. It incorporates pronunciation and vocabulary patterns that are used by German immigrants to Cameroon and native Guineans. Regardless of what dialect is spoken, many native Spanish speakers or bilingual Spanish speakers can generally understand what is being said. With many of the different dialects, some root words and their meanings are the same. 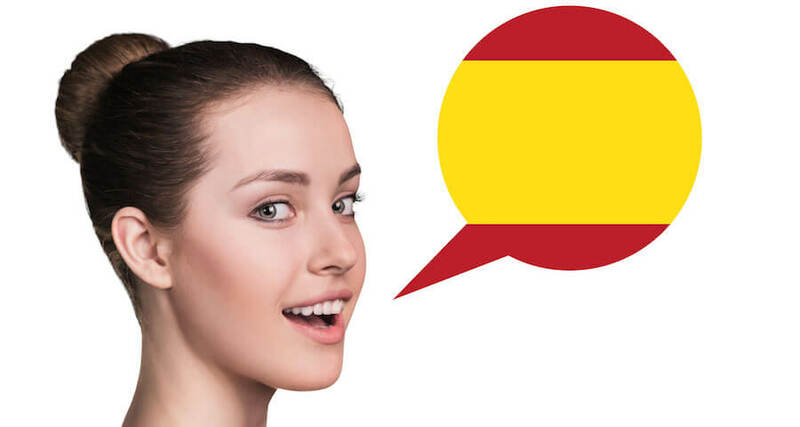 Most people, no matter what country they are, can still easily communicate with each other if they are familiar with one of the dialects of Spanish. People from all over the world and from many varied backgrounds are citizens of Latin American countries. Statistically speaking, a large number of these countries’ populations are made up of Spanish speakers, but that is not always the case. In Latin America, Spanish is just one of the many recognized languages. The other 68 indigenous languages include Mixtec, with 425,000 speakers, Yucatec Maya, totaling about 750,000 speakers, and Nahuatl with over 1.5 million speakers. This means that of the 10 million Spaniards and Latin Americans that belong to indigenous groups, 6.5 million speak one of the indigenous languages. As times change, it becomes harder to keep the rich history of these languages alive. Without the government or schools dedicating the time and resources to keeping this history and these languages alive, these cultural treasures will continue to be threatened. As it stands already, many of these indigenous languages have very few speakers, effectively endangering the languages as a whole. These languages face the harsh reality of being lost to the world if others don’t fight to protect them. This is why many Latin Americans and Spaniards are trying to revive the customs and languages of their cultures. By asking governments to enact laws to encourage the protection of these indigenous languages, Latin American countries can work to help protect their languages’ legacy. If no efforts are made to work to keep these languages apart from the present, there will be no speakers to help keep the language alive. According to history, 130 different indigenous languages have already been lost following Latin America’s conquest by Spain. People visiting Central and South America for the first time may make the mistake of assuming all Spanish-speaking cultures are similar. However, it must be said that all countries in these regions are not the same and by no means have the same customs, foods, languages, or music. Essentially, 19 states and territories make up Latin America. These territories and states start with Mexico, extending to cover Central America, South America, and parts of the Caribbean. The population of Latin America, including those countries in the Caribbean, is estimated to be about 634 million people. Each country that makes up Latin America is incredibly diverse when it comes to their people, geography, language, history, economy, character, and culture. Anyone new to these countries must understand and be aware of all the differences between them. For example, an action, gesture, or phrase may mean one thing in a particular country, but can have a completely different meaning in another. This is partially because there are distinct differences in the dialects and cultures of each country. As we as a global community aim to be more connected, it is important for us to understand and respect these key cultural differences.